I took that as 2 questions. 1, I'm pretty sure we'll lose Jon or Dany s8 e6. 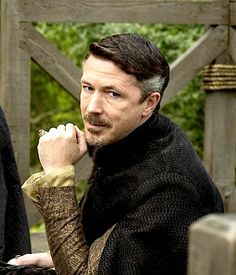 I'm banking on Dany but it can't be none or both, bittersweet. (Plus more main characters deaths). So maybe Jon dies that way. 2, Who's the lone wolf? I don't think any Stark is. I think it means people. Those who try to stand alone will die. The Starks are a pack, all living children even including Jon. He's doing all this for his wider pack, the North. And Westeros. Even Cersei is allied with Euron and the IBB and now the GC. Considering the Great War is happening asap, both sides charging in, that'll have to happen first. Which means the war with the Lannisters and GC and Euron will happen later. gRRm focuses on the human heart so it make sense Cersei is the bigger bad, to me. We also have Jon really being a Dragon and half Wolf factor. And what happens to Theon and those IB who go after Yara, in the mix. A; Beric Dondarrion , as he's convinced he's been bought back to save the day doing whatever he can , after all if it weren't for jon he'd have been halfway across that ice heading straight out to take on the NK single handedly. B; Cersei Lannister simply because her self defiance & aggressiveness she's convinced she can win with or without aides or allies at her side. This. It was Sansa telling Arya she was part of the pack again. Exactly. And using that quote from the last episode in the initial trailer helped them set up the pseudo-Stark girls in-fighting that they wanted us to buy into in order to give us the big Littlefinger twist at the end.